Yes, just when everyone has hopped onboard 802.11ac, we now have a new wireless standard to contend with. But if 802.11ax is all that it is made out to be, the switch would be worth it. So how does 802.11ax improve on 802.11ac? To answer this question properly, it is necessary to understand first the shortcomings of 802.11ac. Alright, so what’s wrong with 802.11ac? 802.11ac does a number of things well but it is bad at some others. Speed, for instance, isn’t its biggest problem. 802.11ac can actually deliver very fast Wi-Fi speeds. 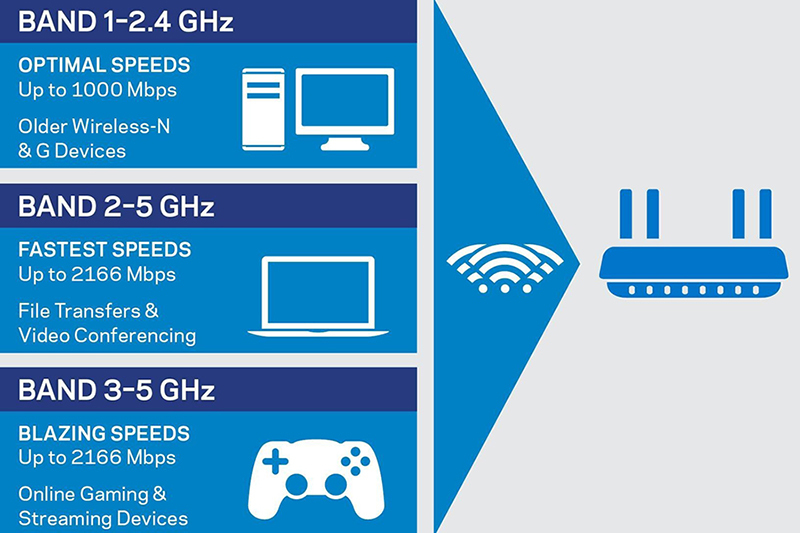 The fastest 802.11ac routers today can deliver speeds of up to 2,167Mbps on a single 5GHz network. The biggest problem that it faces is congestion that occurs because of the sheer number of connected devices that we have today. Today, the average number of connected devices per household is around 20. This includes devices like your desktops, notebooks, phones, tablets, webcams, TVs, media streaming boxes, smart home sensors, and more. And analysts believe it could double in the next two years. Just ask yourselves, how many devices do you really have connected to your router via Wi-Fi? The high number of connected devices puts a severe strain on a router’s performance. This is because today's routers can typically only transmit or receive signals at any one time. This is why performance degrades rapidly as more devices are connected to the router. The router has to divide its time up amongst more connected devices and the ‘wait’ to get served by the router becomes longer as more and more devices join the network. This is why Wi-Fi slows to a crawl in crowded spaces like offices, airports, and stadiums. Wait, doesn’t MU-MIMO solve this? Not exactly. MU-MIMO has some severe limitations. But a quick primer: MU-MIMO (Multi-User Multiple Input) was introduced as part of an update to 802.11ac. It improves congestion by allowing the router to communicate with multiple output devices simultaneously. 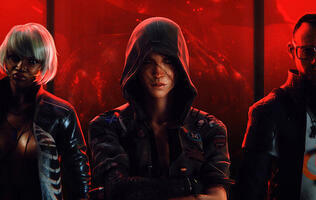 But it has some limitations. It requires MU-MIMO compatible routers and clients, it only works on downlink, and it can only communicate with up to three devices simultaneously. This is probably good enough for most homes but it is woefully insufficient for public use where they can be hundreds if not thousands of devices. You can read more about MU-MIMO in our guide to home networking here. So how does 802.11ax solve this? 802.11ax seeks to improve Wi-Fi in two ways. 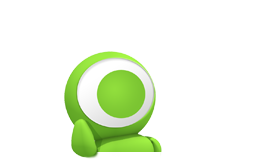 One is to increase the speed of each stream and the second is to make each router more efficient by allowing it to communicate with multiple devices simultaneously. 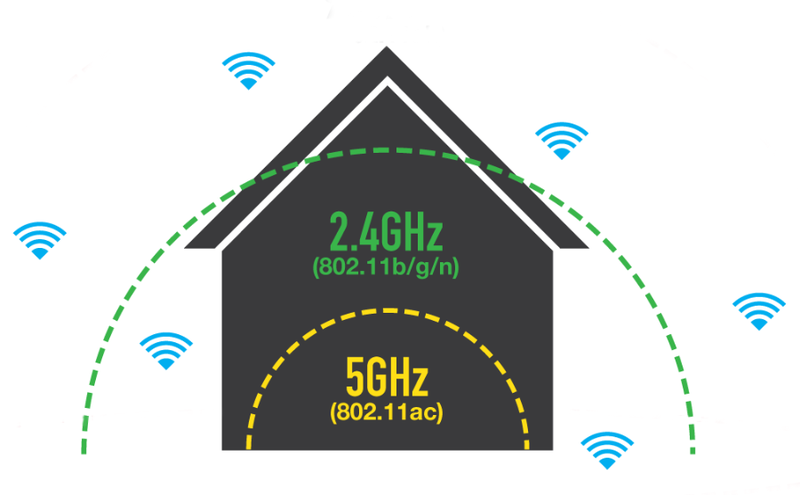 Like 802.11ac, 802.11ax will operate in the 5GHz spectrum. 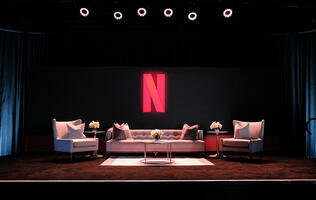 It will support up to 160MHz channels giving each 802.11ax stream a maximum theoretical bandwidth of 3.5Gbps. This compares favorably to the maximum bandwidth of a single 802.11ac stream which is just 866Mbps. 802.11ax routers that support up to four streams could, therefore, provide a maximum theoretical bandwidth of up to 14Gbps! Real world performance would probably be nothing close to these figures but this is still a massive improvement over existing 802.11ac routers. Arguably, the biggest improvement of 802.11ax is its ability to accommodate multiple client devices simultaneously. This is done using OFDMA digital modulation technology or orthogonal frequency division multiple access as it's known in full form. This particular technology comes from the world of LTE and is the reason why LTE works so well. How often does your smartphone's reception become unresponsive? 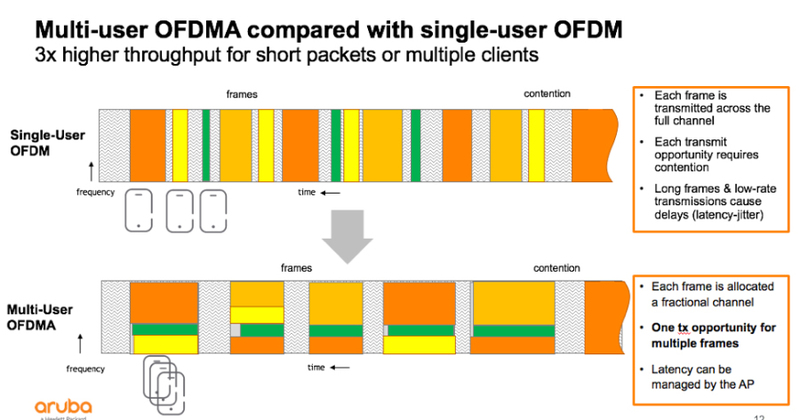 To put it simply, OFDMA chops up each Wi-Fi channel into hundreds of smaller sub-channels, each with a slightly different frequency. The signals are then turned orthogonally so that they can be stacked on top of each other and de-multiplexed. With OFDMA, a single channel can accommodate as many as 30 clients. In plain English, it simply means that 802.11ax routers can combine transmissions and send data to multiple devices simultaneously. Compared to most 802.11ac routers which can only send data to a single device at any one time, you can see that 802.11ax routers are going to be a lot more efficient. Here's an analogy. Today's routers are akin to delivery trucks that can only carry a single package and therefore can only make one delivery per trip. 802.11ax routers, on the other hand, are delivery trucks that can carry multiple packages and can, therefore, make multiple deliveries every trip. No prizes for guessing which is more effective. 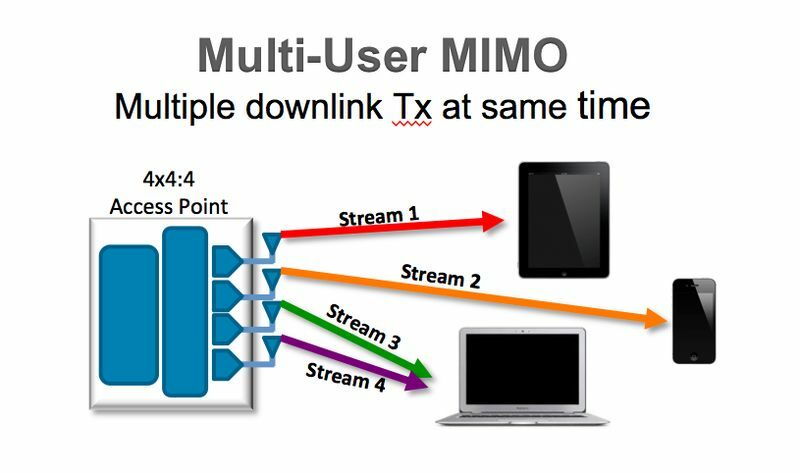 802.11ax will support MU-MIMO too and it will do so on both downlink and uplink transmissions. Hmm… how is MU-MIMO different from OFDMA? OFDMA allows far more efficient use of channel bandwidth whereas MU-MIMO allows the router to dedicate separate spatial streams to different devices. The two technologies can work together in 802.11ax routers to allow it to serve much more devices than your typical 802.11ac router can. 802.11ax works in the 5GHz and 2.4GHz spectrum so range would be largely better than 802.11ac simply because of support of 2.4GHz. In the faster 5GHz spectrum, we should see 802.11ax provide about the same range as 802.11ac - 5GHz waves can only travel so far because the laws of physics are immutable. Let’s not forget, with the right mix of devices you can still achieve very good speeds over 2.4GHz. Does 802.11ax have any other improvements? Yes, another important new feature of 802.11ax is called Target Wake Time, which has the potential to improve the battery lives of client devices. Target Wake Time allows routers (or APs) to tell clients when to go to sleep and provides them with a schedule of when to wake again. Obviously, these are very short periods of time but it could all add up and help improve battery life. This is similar to the start-stop systems found in modern cars today. Every bit counts. This all sounds great so when can I expect the first 802.11ax routers to hit stores? 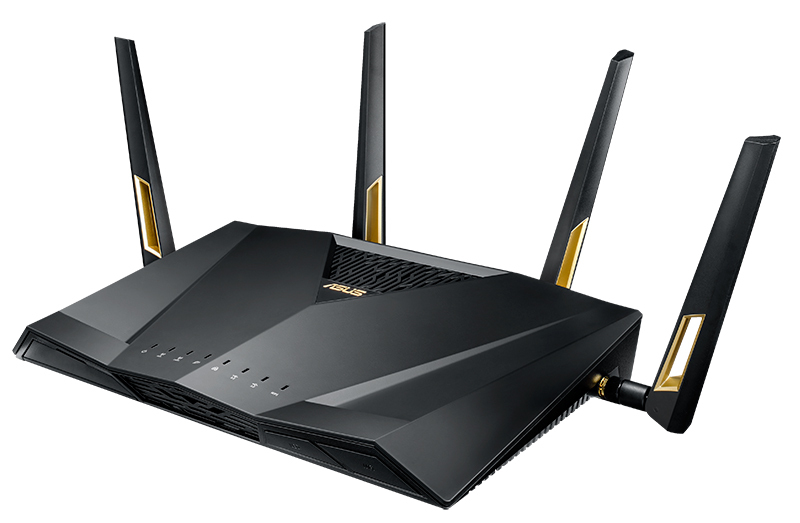 Many brands have already announced 802.11ax routers earlier this year so it is only a matter of them preparing their routers and getting them ready for retail. 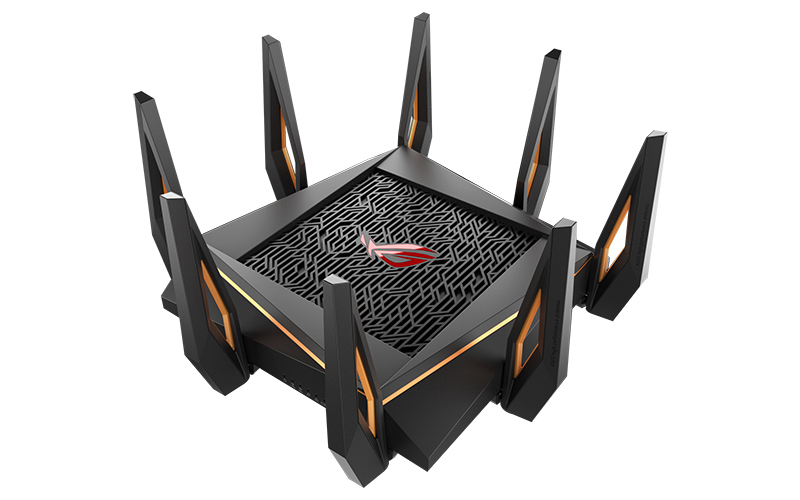 From ASUS, we can expect to see the RT-AX88U and the ROG GT-AX11000, while D-Link announced its AX6000 and AX11000 Ultra Wi-Fi routers earlier this year at CES 2018. This is much more difficult to say. 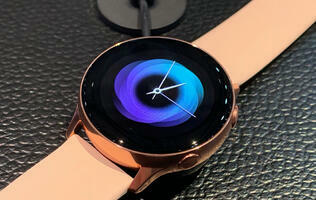 It all depends on how fast device makers want to adopt this new technology. Industry insiders told us that the first devices to support 802.11ax should arrive next year and widespread adoption won’t be until late 2019 at best. Right, so should I upgrade when the first 802.11ax routers become available? That’s hard to say for now. 802.11ax sounds promising but as we all know, real-world Wi-Fi performance often varies greatly from what the spec sheets state. I would recommend holding off until we have the chance to test them thoroughly. Stay tuned right here as we bring you the latest 802.11ax wireless news.